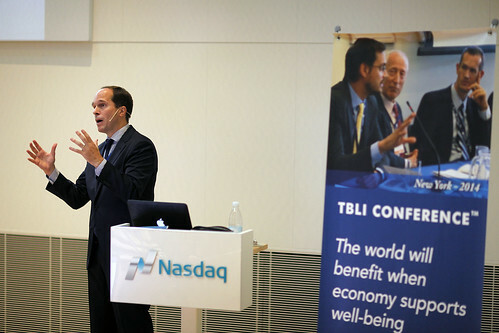 Our 32nd TBLI CONFERENCE was held in Stockholm at Nasdaq, last week and it was definitely one of our best events. 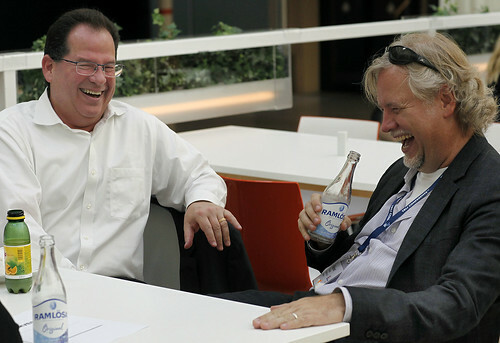 I want to thank all the sponsors, speakers, moderators, and staff for making TBLI NORDIC such a joy and inspiration. This was the first, but definitely not the last time, we held TBLI in Stockholm. 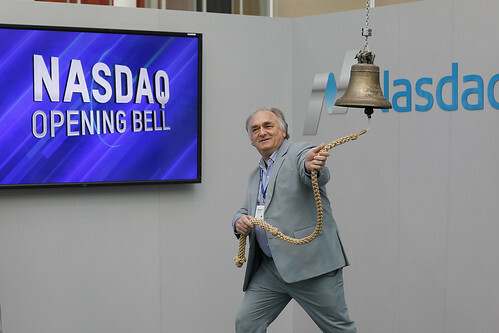 I particularly want to thank Nasdaq for hosting us. Just wanted to say I am richer for knowing you. Friends are important to me, and you are a friend. The conference was a huge success from my point of view and from everything I heard others say. Congratulations. TBLI Trump Award for Ignorance! Look at this video interview about ESG Investment. Start at 135 seconds,and try not to laugh too loud. Rabble is an impact investing platform that connects people with projects that strengthen communities. Rabble makes it simple and straightforward for people – accredited and non-accredited investors alike – to invest in impactful ventures, real estate, and renewable energy projects. I received the announcement that the Earth Policy Institute plans to cease operations. Very sad, but understandable. The founder, Lester Brown will retire in June 2015. Lester was a hero of mine and a great champion of bringing sense to an economic system that was self-destructive. His statistical analysis were essential to understanding the destructive forces at play as well as the clear profitable solutions that was being offered. If you are not familiar with him or the Earth Policy Institute, go visit their website. Lester Brown surely comes to mind when one reads Man in the Arena by Theodore Roosevelt. Getting out of ghetto is successful! Can’t make it or want to support our capacity building on ESG and Impact Investing, make a charitable donation to TBLI Foundation. July 4th is the day that most Americans celebrate their independence from the British. For me, it is even more special. It is the day that I married by best friend, Rieki Crins. 20 years ago today we decided to continue our journey as friends and partners, forever. Best decision I ever made. So for those shooting off fireworks today, please think of us while you celebrate Independence Day for us it is Interdependence Day. Enjoy. 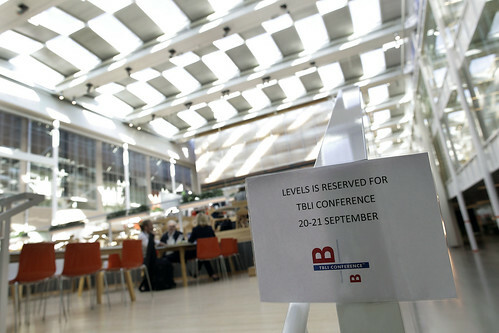 Sept 10-11, 2014, TBLI CONFERENCE will be holding its first event hosted by a business school, BI Norwegian Business School has graciously offered to host and jointly organise our event. Hope you can join. I often meet very inspiring people who are doing the heavy lifting, digging the holes and not cutting the ribbons. Working tirelessly without reward or even recognition. I recently met two outstanding men. One is Jean-Louis Kiehl of Cresus who is helping hundreds of thousands of French trying to get out of personal debt. Not glamorous but essential, made even more difficult as there is no central registration for those individuals with bad credit ratings, in France. The other is Frederik Galtung of Integrity Action, who is building a culture of integrity by supporting citizens and organisations to develop effective systems that promote integrity. Oh by the way, Frederik has figured out a solution for the Palestinian-Israeli conflict. Both men just working at the coal face with complete conviction, under staffed and under funded, but always willing to share, help and inspire. Thank you. I would to personally like to ask you to help TBLI scale our activities by becoming a Founder, Patron, Supporter, or Friend. Your generous donation will help in our educational mission. We have gotten several organisations who realise the value of our work and we are grateful for that support. Please support our work by making a contribution and we will add your name to the list. Learn more about TBLI Foundation and our work. For those of you who weren’t able to attend the 25th Anniversary of TBLI CONFERENCE, May 29-30, 2014, here is a film capturing some of the highlights. The full version of the plenary presentations will be available on our website, shortly. It was a spectacular event. Everyone contributed to the success of TBLI CONFERENCE. It is so inspiring to bring together the ESG & Impact Investing thought leaders and great humanitarians and experience the passion and generosity of everyone. We were overwhelmed by the number of people who came up and asked how they could help TBLI CONFERENCE. I particularly want to thank our team, Iris, Stephanie, Stephen, Danielle, Libby, and Niels. In addition, all the staff of Credit Suisse, the volunteers, the TBLI Ambassadors, attendees, speakers, moderators and sponsors. You all made TBLI a great success and a joy. Thank you. Hope you can join us at the other events this year. We received great testimonials like this one. The TBLI CONFERENCE USA 2014 in New York City was inspiring, empowering, and brought people from many sectors together to discuss important sustainability issues and solutions that can only transpire through “collective impact”. 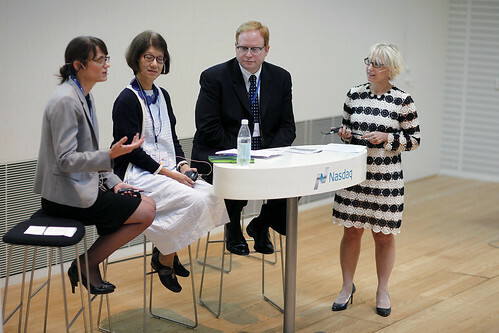 Furthermore, discussions focused on developing solutions to emerging ESG challenges. As opposed to other sustainability conferences, TBLI CONFERENCE attendees interacted and engaged at all levels, from CEOs to students and volunteers – everyone was important and included in the discussion.The workshops instigated thought provoking ideas and helped cultivate new connections bringing people with different skill sets together to work on projects. These workshops were not just lectures where CEO’s talked at you but they were excited to share progress with everyone and welcomed constructive criticism, partnerships, and suggestions as discussions were free flowing as a general curiosity and openness pervaded the atmosphere. The TBLI Conference truly put the “social engagement” in triple bottom line. Help us scale our activities by becoming a Founder, Patron, Supporter, or Friend. Your generous donation will help in our educational mission. 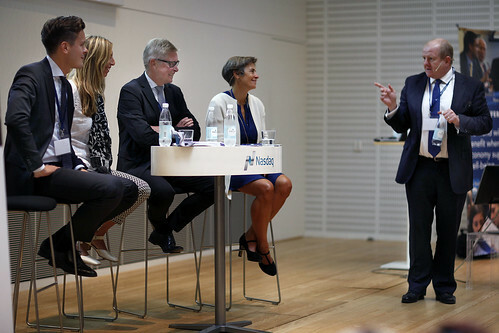 TBLI FOUNDATION (Stichting TBLI) will serve the global ESG and Impact Investment communities through Conferences, educational services, investor research and tools. Our mission is to increase understanding and awareness of the benefits of a value(s) based financial system, and thus help mobilize money flows into ESG and Impact Investing to ensure a brighter future. 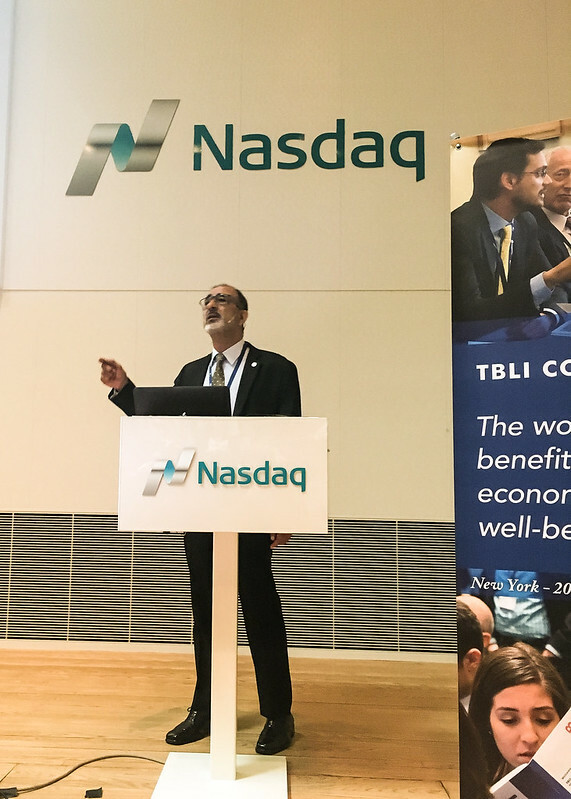 TBLI FOUNDATION supports the ongoing global TBLI CONFERENCE™ Series by making content more broadly available to investment professionals and the public via reports, white-papers and video interviews, partnerships with educational institutions and like-minded nonprofits. The foundation is implementing a digital model to facilitate access to content and interactions in the community.